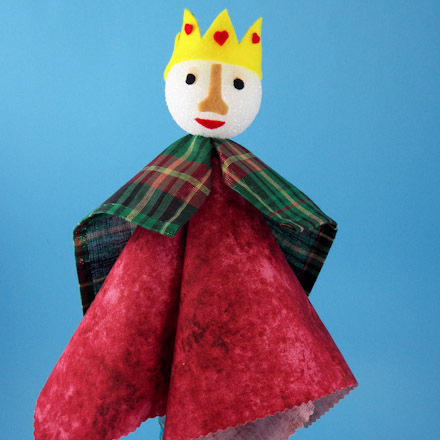 Print the king puppet cutouts pattern on white paper. To make the king hand puppet, you will decorate a foam ball head with a face by adding felt cutouts. You can use Aunt Annie's printable pattern for the puppet cutouts, but you may find it just as easy, or even easier, to cut out shapes freehand. In either case, use the cutouts pattern as a reference for all of the king cutouts needed, and their approximate sizes. You can choose to make a regal king or a clown king. 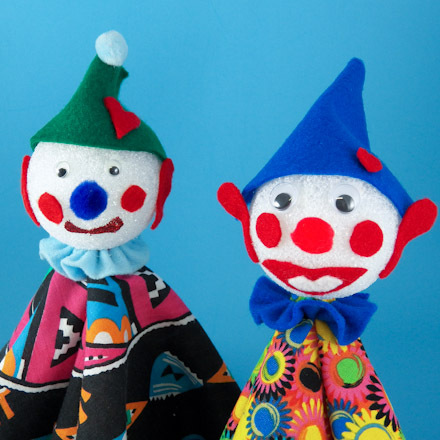 Follow the instructions in the Foam Ball Clown Puppets craft project to make your king puppet using felt cutouts and a cloth drape. 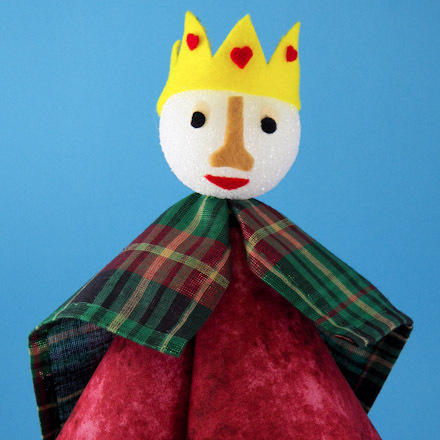 The pictured king has a red 14" drape and a second 8" plaid drape that is his regal cape. That's it! Your king puppet is done! Tip: Make the king hand puppet following the instructions in the Foam Ball Clown Puppets craft project. 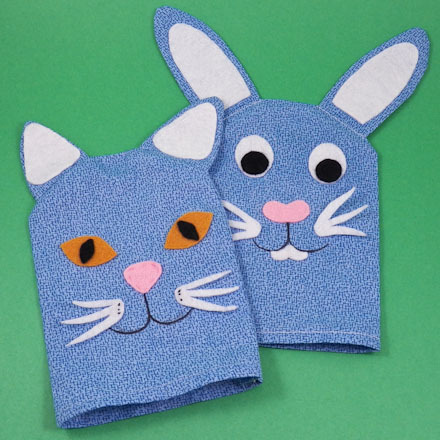 Tip: For more hand puppet crafts, like the Cat and Rabbit Fabric Mitt Hand Puppets, see the Puppets Around the World index page.